Rovio Mobile Values Self "North of PopCap"
Although Electronic Arts plans to purchase PopCap games for a whopping $1.3 billion later this year, Rovio Mobile — the developer studio behind Angry birds — says it values itself “north” of that figure. Ville Heijari, Rovio’s Vice President of Franchise Development, revealed that multiple interested companies have made attempts to negotiate. “I wouldn’t say [EA] has approached us with any offer — obviously we’ve discussed with many different companies,” Heijari explained. Electronic Arts and PopCap announced their $1.3 billion deal on Wednesday. The publishing giant owns mobile publisher Chillingo, social gaming company PlayFish, and now PopCap Games. 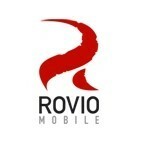 Could Rovio Mobile be next?